This is a slice of Pizza how it is made in Naples: the dough is not really rolled out thin as in other parts of Italy. This Pizza includes mozzarella, San Marzano tomatoes, black olives, sardelles, and of course basilic. 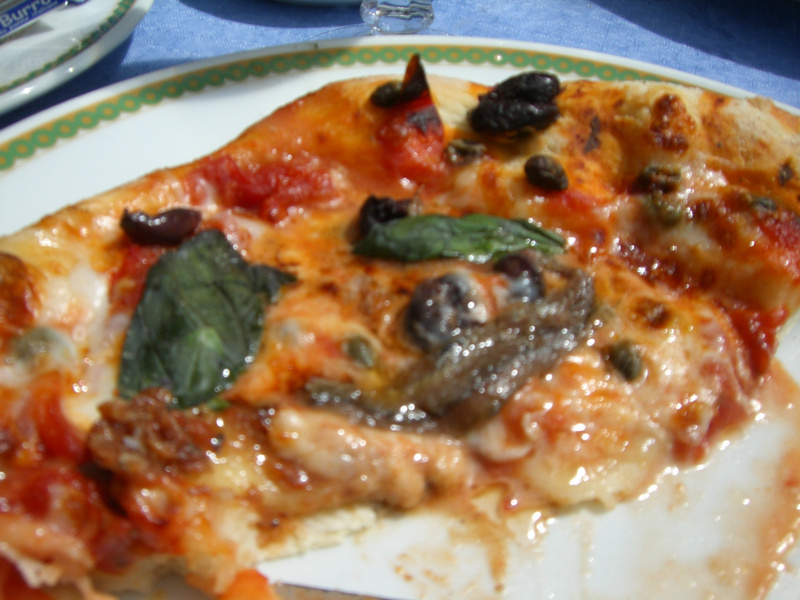 You can read soon at Furbizia's Recipe how this real pizza is made here in Southern Italy.